A series of paintings by Dame Elizabeth Blackadder will be shown at Linlithgow Burgh Halls until Sunday, May 3. Organised by West Lothian Council, the exhibition ‘A Cat Amongst The Flowers’ is free and open to all. One of Scotland’s most popular artists, Dame Elizabeth Blackadder is the first woman to be elected to both the Royal Scottish Academy and the Royal Academy. She is noted for portraying flowers, cats and Japanese gardens, in a unique style which is both contemporary and striking. This collection of work showcases etched portraits of cats captured in natural moments of play, rest or stillness alongside delicate floral and still life prints. A painter and printmaker, Elizabeth’s work can be seen at leading national galleries across the world and has even featured on a series of Royal Mail stamps. This collection is on loan from Falkirk Community Trust and the Glasgow Print Studio. 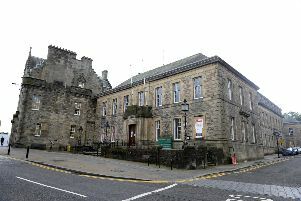 Two free events have been organised at Linlithgow Burgh Halls to complement the exhibition. Storytelling with author Ramsay Wood – A Cat May Look at a King takes place on Thursday, April 9, from 4.30pm to 5.30pm. Informal readings by artist and cat lover Gill Whitworth, from the book Particularly Cats by the late Nobel Laureate for Literature, Doris Lessing is on Thursday, April 9, from 7-8pm for over 18s. To book a place at the event, call the Linlithgow Burgh Halls box office on 01506 282720.